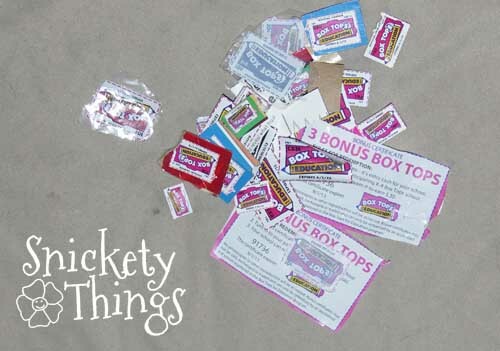 In August I challenged everyone to collect as many Box Tops as they could and send them in to their child's school, then come back to the blog and let me know how many you were able to do. I turned in fifty for September thanks to the help of my mom. She gave me half of what I turned in. Today was the last school day of the month so it is time to see how you did. Let me know in the comments what you were able to turn in. Now for something really off topic for me. I want to give a shout-out to Petal High School. Football is big here, after all this is the South. They played against Oak Grove, a rival team that is currently being coached in part by Brett Favre (yes, that Brett Favre). The score was 21-17 in OGHs favor and were making an attempt for a touch down in the last two minutes of the game. Here are those last few minutes (you may want to turn down the volume a bit and if you are getting this in RSS you might have to click through). Don't worry Brett, we are still your fans too. I was supposed to move into an air cast for my leg, and I did, but gave up on it and just started going without. That's right, I can finally walk on my leg just six weeks after I broke it at the beginning of August. I don't go back for my final appointment until next week, but it seems to be doing well. Right now I only have a bit of a limp and move pretty slowly. I hope to be able to walk well soon. I feel pretty lucky that I didn't require surgery and things are going well with it. I was also happy to learn that my Jessie costume was featured at two sites this past month. Hope everyone has had a fabulous September. Don't forget to stop by and like Snickety Things on Facebook. There will be some new things showing up there soon.